Wieniewska was born in Warsaw in 1909 as Celina Miliband. She graduated in French from the University of Warsaw, but chose English as her working language. In the 1930s, she translated American and British fiction for a major Polish publisher, J. Przeworski. Her best-known work from that time is the 1939 translation of Margaret Mitchell’s Gone with the Wind, which remains in print to this day despite the existence of two retranslations. She also reviewed foreign literature for a Warsaw daily. ‘Wieniewska’ seems to have been her pen name, perhaps a Polonized version of ‘Weinzieher’, the name of her first husband, a Warsaw lawyer (the marriage ended in a divorce). Celina Weinzieher/Wieniewska lived in London in 1938-1939, but returned to Warsaw shortly before the outbreak of WW2 to be with her parents. Eventually, however, she escaped on her own; her family remained in the Warsaw ghetto and perished in the Holocaust. Towards the end of 1939, using her own passport with an old doctored exit visa, she travelled to Dresden on a train transporting Wehrmacht soldiers. She managed to get though to Milan and Trieste. In Italy, she received a Brazilian passport. She travelled on to Turkey, where she taught English for some months; then, via Iraq, to India. Even in the midst of her wartime odyssey, far away from home and uncertain of her future, the young translator didn’t lose focus of what became her lifetime goal: promoting Polish literature. The Times of India of 1st April 1941 features a short account of the International Cultural Conference organized by the Bombay Theosophical Society and the Government Law College. Among the speakers was “Madam Celina Wieniewska, who gave a general idea of Poland’s position and historical importance in pre-war Europe. She said that literature and art in Poland during the 19th century constituted for many years the mainspring of national vitality. The men of letters, who fled from Poland on the outbreak of the present war, are now in London pursuing their activities”. Soon, Wieniewska joined “the men of letters” in London, although as a result of a coincidence rather than a plan. She wanted to get to South America, but, apparently due to her steamer’s breakdown off the shore of Cape Town, she was held up on-board and missed the convoy to Brazil. Instead, as the Incoming Passengers List informs, on 21st July 1942 Mrs Celina Weinzieher-Wieniewska (“occupation: writer”) disembarked S.S. Modasa in Liverpool. She settled in London, working for the Polish Government in Exile and the Polish Sector of the BBC. After the war, she also briefly worked for the embassy of the Communist Polish People’s Republic. In 1957, she married the literary agent Peter Janson-Smith (thirteen years her junior), whose clients included Ian Fleming and Anthony Burgess. Mr and Mrs Janson-Smith frequented the annual Frankfurt Book Fair and received literary guests in their home in Hammersmith. Celina also maintained contacts with the Polish diaspora in London. She was friends with the avant-garde artists and intellectuals Stefan and Franciszka Themerson. Throughout the 1960s and 1970, she worked as the British representative of more than a dozen European publishing houses. Apart from her translation work (of which more below), Wieniewska also edited Penguin’s anthology Polish Writing Today. Upon her death in 1985, an obituary in The Times described her as a “charming, courageous and forceful personality” and a “symbol of the indomitable spirit of the Polish community in London”. Wieniewska was not a prolific translator; over four decades (1942-1982), she only produced fifteen book-length translations into English (for example, Czesław Miłosz’s first novel The Usurpers, an anti-Communist roman à clef, two novels by Jerzy Andrzejewski, and two novels portraying the life of Polish Jews: Henryk Grynberg’s Child of the Shadows and Julian Stryjkowski’s The Inn). However, she showed a high degree of self-awareness and had a clear idea of her role not only as a translator, but also promoter of Polish literature. Her correspondence with Maria Kuncewicz, editor of the anthology The Modern Polish Mind (1962), to which Wieniewska contributed translations of five prose pieces, shows that the translator was confident in her powers and believed it was her part of her job to edit the original texts for their own good, i.e. to make sure that they will find readers. In one of the letters, she unapologetically states that she performed “a significant cosmetic surgery” on a short story by Jarosław Iwaszkiewicz which she found “loose” and repetitive. Arrogant as this may sound given our prevalent notion of the translator’s subservience to the original author and text, in the case of Wieniewska this had nothing to do with lack of respect or admiration for the author. Elsewhere, Wieniewska described Iwaszkiewicz (whose three-act play Summer at Nohant was her first published English translation back in 1942) as “the best – even on world scale – author of short stories”. Based on her insight – gained through professional and private contacts – into the workings of the publishing market and the preferences of the English-speaking reader, Wieniewska also performed a kind of a “cosmetic surgery” on her “beloved Schulz”, as she referred to the author in another letter. Whether she did so of her own accord or only after being urged by the editor remains uncertain, but her translation offers a ‘domesticated’ version of Schulz’s writing. Wieniewska trimmed his winding sentences here and there, simplified certain complex metaphors, and omitted some phrases (and even whole sentences, as in the case of Spring, the longest of Schulz’s pieces) to make the then-unknown author more readable and thus acceptable to the anglophone audience. Given the density of Schulz’s prose, however, in my opinion she did not go too far, and her English Schulz still has a distinct style. The reception of her translation confirms that Wieniewska was correct in her intuition about ‘how much Schulz’ the reader was prepared to handle. Upon publication in 1963, Cinnamon Shops/The Street of Crocodiles was praised in The Guardian (“The translation is a triumph.”), The Times Literary Supplement (“lavishness of the evocation, fertility of the metaphor”), The Spectator, as well as The New York Times (“original, rich in language and perception”, “superb translation”), to mention only the biggest papers. Wieniewska was awarded the 1964 Roy Translation Prize for the best translation of a Polish book into English. Interestingly, those few reviewers who had any reservations against her Schulz criticized excessive wordiness and poeticization: “a work a shade too gratuitous and uncontrolled” (The Times Literary Supplement), “too much of ormolu-adorned prose”, “unwillingness to omit any detail, however trivial, without excessively elaborating it” (Studies in Short Fiction). The fact that Singer, a Polish Jew who emigrated to the U.S. in 1935 but hadn’t heard about Schulz’s 1934 debut back in Warsaw, first read The Street of Crocodiles in English rather than in Polish is another example of the role of translations into this modern lingua franca in securing any writer an international career. Singer himself kept writing in his native Yiddish and he was known for his high expectations of and sometimes difficult collaboration with his translators, among whom were Saul Bellow and Cynthia Ozick. In the case of Schulz, however, the joke was on him, since Wieniewska did make the author easier to read and did reduce his repetitions (although she split his long sentences only in a few instances). That her translation struck someone familiar with Polish as “almost literal” is another proof of the translator’s skill on the one hand, and the richness of the original on the other: even slightly diluted in translation, it is still perceived as complex. To a large extent, this impression is shared by readers of Wieniewska’s translation to this day. I cannot fully agree with the acclaimed literary critic Michał Paweł Markowski when he writes: “Schulz in English reads smoothly and fluently, whereas Schulz is not in the least bit smooth and fluent, and thus I understand the surprise of English-language readers, who can’t understand how they’re supposed to be dealing with a linguistic genius when the sentences they have in front of them sound so ordinary.” Of course, Markowski does have a point; indeed, Wieniewska simplified Schulz’s style to some extent. That she “entirely erased the writer’s signature”, as he puts it, by making his writing seem “ordinary” is, however, a hyperbole driven by the critic’s polemical vigour, which, admittedly, served the commendable cause of making a case for a new translation. 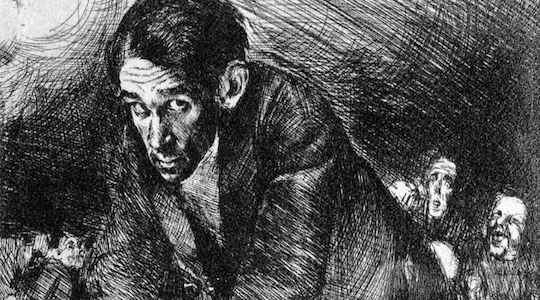 A look at the Amazon reviews of Wieniewska’s translation reveals a picture radically different from the one sketched by Markowski: “To me, Bruno Schulz, for all his literary fame, is a difficult author to read. The plot of his stories is simple enough, but the way he writes taxes my powers of concentration to the very limit. It’s beautiful writing, no question, with sentences rich in description and metaphors and similes galore”; ￼￼￼￼￼￼￼“While Schulz’s imagery and simile get a little repetitive, the atmosphere of living objects and mysterious confluence of life is compelling and hypnotic”; “It’s a thin book, but not a quick read. You should read carefully and savour the beautiful passages and the exquisite details”; “The richness of the sentences, their imagery and use of language reveal a great depth of talent”; “disconcerting, bizarre, and difficult”; “The language is powerful and supremely complex and requires absolute focus and sometimes the need to reread a paragraph a few times”. Schulz’s work as presented by Wieniewska has been appreciated by a host of acclaimed authors of different generations, backgrounds and writing styles. Apart from Singer and Roth, the list includes (but is not limited to) John Updike, Cynthia Ozick, Salman Rushdie, Joyce Carol Oates, Nicole Krauss, Jonathan Safran Foer, and Rabih Allamedine. Perhaps the most striking recent testimony to the power of Wieniewska’s version of Schulz’s writing came from the Pakistani-born British writer Nadeem Aslam, who listed The Street of Crocodiles as one of the books which he copied by hand as a teenager in order to learn English — a compelling example of translated literature crossing linguistic and cultural borders, and a poignant coda to the story of Bruno Schulz, who didn’t live to see any of his work published abroad. On the one hand, then, Celina Wieniewska may be considered a fraud who fooled thousands of readers into believing that they read Schulz when in fact they read not only a translated but also an edited version. On the other hand, her treatment of the original text did not stem from ignorance or incompetence; she was well-aware of what she was doing, and took into account the translation norms and conventions dominant at the time. As research into her biography shows, she had profound knowledge of the British publishing market, and her experience allowed her to intuit correctly the amount of cognitive effort that her target reader was ready to invest in Schulz – an author then virtually unknown outside Poland, and (proscribed by the communists as he was) not yet enjoying his present-day canonical status even at home. There’s no escaping the fact that Wieniewska’s ‘bad’ translation won Schulz many devoted admirers, in a way preparing ground for Madeline Levine’s retranslation. Surely, if the much-criticised translator made so many people, including professional wordsmiths, love the Polish author, this should speak for an extenuation? When I get asked whether Wieniewska’s is a ‘good translation,’ my answer is no; not by present-day standards of literary translation. It still is, however, a very good book. Zofia Ziemann is a Polish translator/interpreter and translation scholar. She is pursuing a PhD at the Jagiellonian University, Kraków. Her dissertation is on the history of the English translations of Schulz. Zofia’s research interests revolve around history of literary translation, with particular focus on reception and criticism. She is the secretary-editor of Przekładaniec: A Journal of Translation Studies. This article presents the results of a research project funded by the Polish National Science Centre (PRELUDIUM grant no. 2014/15/N/HS2/03913).